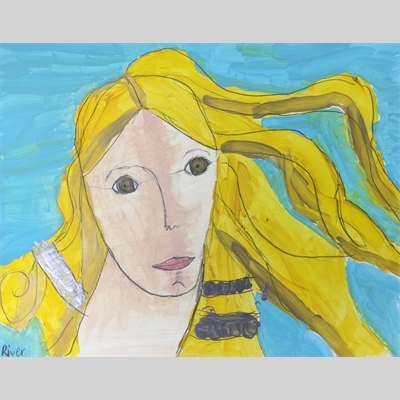 This class is designed for kids who love to create art such as; drawing, collage, clay, watercolor, and more. Students are introduced to essencial art concepts while working with all type of activity and material. 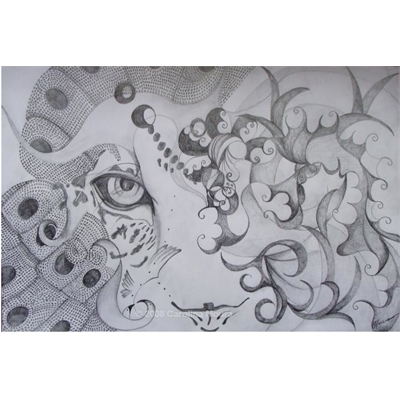 The main purpose of this class is to stimulate visual perception, observation and imagination. All materials are included. Ages 9-15. 12 week class. This very popular Comic & Zine Series will introduce beginning students to Comic Characterization, Setting, Story Development, Page Layout, Ink Wash, Mixed Media and will culminate with a hand drawn and hand built individual Comic Book. 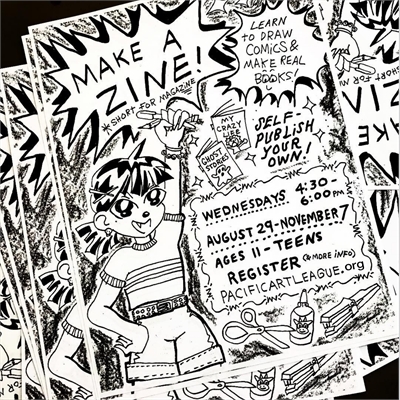 Students are encouraged to enroll in Zine 2 in the Winter/Spring and will continue to develop their Zines and more bookmaking. We are pleased that professional Comic Book Artist, Ivy Adams, will be returning as guest Artist Instructor. **Younger students with Comic Experience by permission. Please email for information:). 16 week class. If you have any question please give us a call. NO CLASS 1/23, 2/13, 3/13 AND 4/3. This class for younger artists follows our classic format, creating masterpieces with pastel, watercolor, clay, acrylics and much more! (16 week class). Mondays class : NO CLASS 1/21, 2/18, 3/11 and 4/1. Wednesdays class: NO CLASS 1/23, 2/20, 3/13 and 4/3. This fine arts class for older students follows our classic format, and continues with a closer investigation of drawing, painting & art history and time permitting may include: carving & printmaking, kiln firing hand-built clay, sewing, photography and hand-coloring photos and much more! (16 week class). NO CLASS 1/24, 2/14, 3/14 AND 4/4. Each week this smaller class follows our classic format, with a focus on 20 minutes of drawing skills and will follow-up with an exploration of other materials. (16 week class). NO CLASS 1/21, 2/18, 3/11 and 4/1. 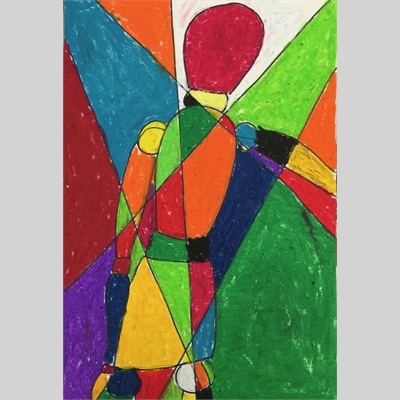 Let contemporary artist ideas and images inspire you to make original cutting-edge art. 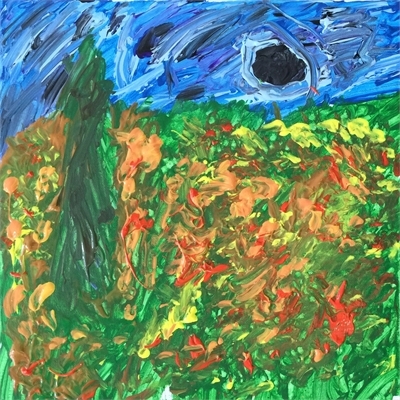 Students choose to work with acrylic or oil paints. Course begins with drawing instruction to enhance skills needed for painting. 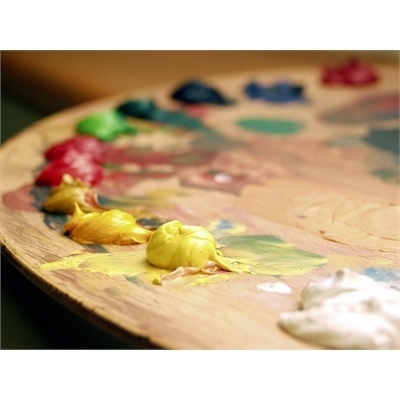 Paint still lifes and landscapes utilizing color theory and mathematical concepts. This class can help prepare students for high school and college-level art courses.12 week class.